Teenagers most commonly experience it, but anyone can develop acne. It occurs when pores on the surface of your skin become clogged. 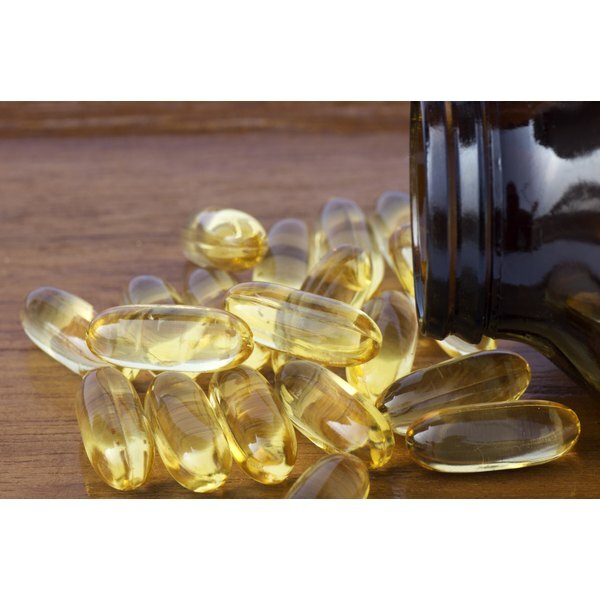 Scientists have examined the effects of fish oil on acne. Fish oil contains rich amounts of omega-3 fatty acids, which reduce inflammation as well as having a crucial role in brain function. Though clinical data fail to show that fish oil can cure acne, it may improve certain forms of acne. While no recommended dosage for acne exists, researchers found success using fish oil that contained 930 milligrams of EPA (eicosapentaenoic acid). Talk to your physician before taking fish oil for acne. Acne is classified as mild, moderate or severe. A small study indicates fish oil appears to improve moderate to severe inflammatory acne but not mild acne. Researchers found most of the participants with moderate to severe acne showed a decrease in severity after taking fish oil for 12 weeks. On the other hand, participants with mild acne experienced a worsening in severity. The results are published in the December 2012 issue of the journal "Lipids in Health and Disease." Further studies are lacking, but this is promising news if you have moderate to severe inflammatory acne.